A Mississippi State University Ph.D. student recently captured one of the top research awards at an international conference on neurotrauma. Bagley Ph.D. student Anna Marie Dulaney won the TEAM Research Award at the NeuroTrauma 2018 international conference. 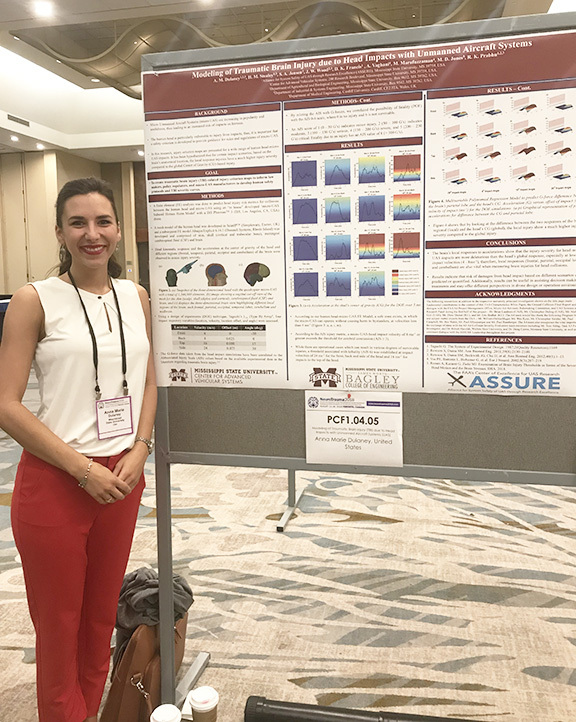 Anna Marie Dulaney, a biomedical engineering doctoral student in Mississippi State’s Bagley College of Engineering, was awarded the acclaimed TEAM Research Award at the 3rd Joint Symposium of the International and National Neurotrauma Societies and AANS/CNS Section on Neurotrauma and Critical Care conference that was held recently in Toronto, Canada. The TEAM Research Award Is awarded each year by TEAM Neurotrauma (training, education and mentoring) to recognize the research accomplishments of female trainees. 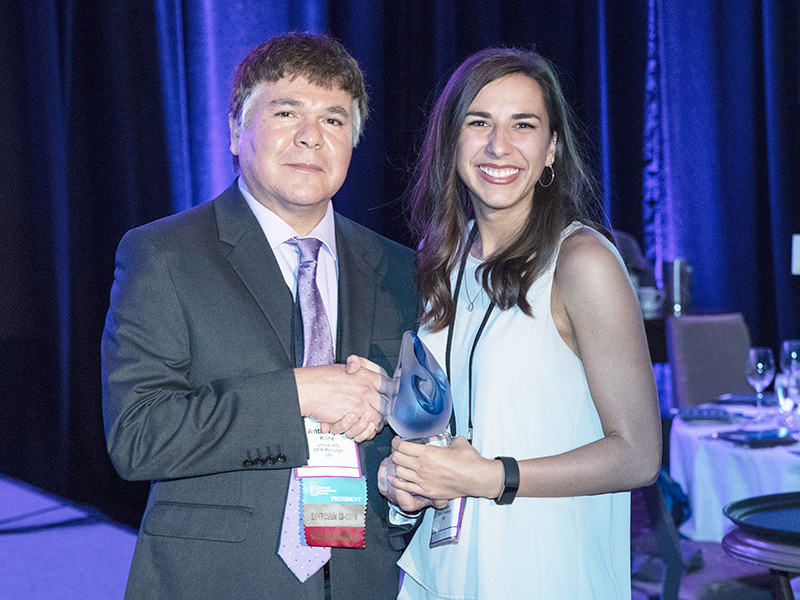 The award helps promote international gender equity in neurotrauma research and recognizes the top-ranked trainee poster presentation, by a female, after the organization’s Goldberger and Goldstein Awards. Dulaney with her award-winning research. Before the conference, her abstract was chosen as one of the top 20 highest-scoring student/trainee abstractsamong those submitted for the poster competition and was displayed during the duration of the event. Additionally, her abstract was selected as one of the top 42 abstracts from more than 700 overall submissions and was presented orally during the Data Blitz sessions. The NeuroTrauma 2018 conference brought together more than 1,200 attendees from 48 countries. Dulaney earned her bachelor’s degree in biomedical engineering from Mississippi State in 2016 and is currently also working towards a master’s degree in the same field.